I first wore this sweater here on magnifique, in 2010 and I find it really funny going through old blog photos. I was such a kid back there at some of the photos can be quite embarrassing, but at the same time I think it's quite interesting to see how my blog has developed and how my taste for fashion has changed during these years. Anyway I'm leaving for Germany in a few hours for a bloggers event with S.Oliver, so I better go pack, butI can't wait to share this experience with all of you, so more about it in my future posts! Have a great Sunday everyone! I like your outfit ! It's adorable ! Glih najdla tvoj blog, in sm čist navdušena :) Ful dobr outfit!! 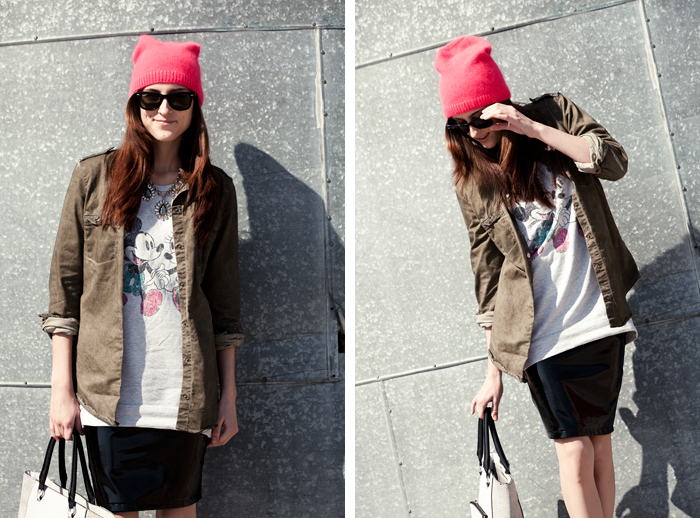 I think blogging definitely pushes your style forward over time, LOVE this! Have fun on your trip! Love your outfit so much! i love your heels :) hat is so nice too ! 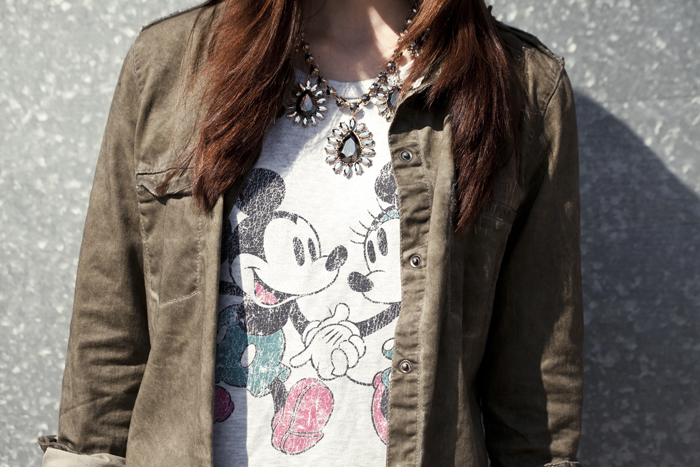 Such a great look, love the Mickey Mouse and your bag! Love your outfit and these pieces are perfect together. Lovely sweater and bag. I really like the look, but the sweater won't me, hate Disney, but from other drawings I love everything! This is so cute- I love a worn in T and heels! aww this look is so cute!